Shirley-Ann Howe is the Owner of the program. 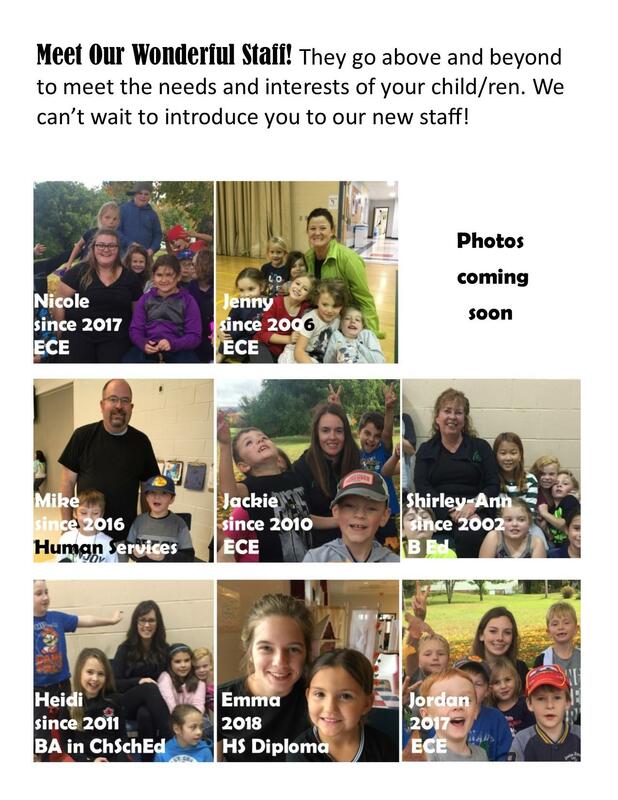 She has a Bachelor of Education-Elementary, many years experience operating an early childhood center (The Children’s Place) and currently directs school age programs (CLASS) serving Sussex and Sussex Corner Elementary Schools. Shirley-Ann also worked as part of a team to develop the Early Child Care and Education curriculum and acted as an advisor for UNB in providing training and curriculum support to early childhood educators in the province. The after school program at Sussex Elementary School has been a vital part of the community since 2002 and the Sussex Corner program since 2009. Well Being – Children experience safe and caring environments where their emotional and physical health, positive identities, and a sense of belonging are nurtured and protected. Communication and Literacies – Children experience intellectually, socially , and culturally engaging environments where their communicative practices, languages, literacies, and literate identities are valued and supported. Play and Playfulness - Children experience open and flexible environments where playful exploration, problem solving and creativity are encouraged and purposely planned. Diversity and Social Responsibility – Children experience socially inclusive and culturally sensitive environments in which consideration for others, inclusive, equitable, democratic, and sustainable practices are enacted, and social responsibility is nurtured.